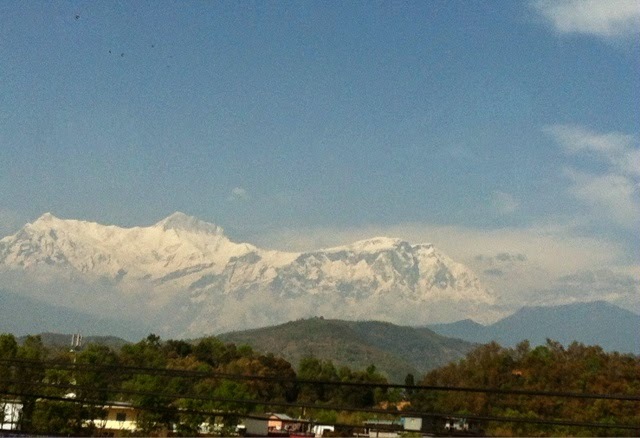 took this while on the bus heading to Pokhara, such an awesome sight! We were on for another 6 hour bus ride from Chitwan to Pokhara. I was looking forward to finally see the famous Himalayan mountain, the Annapurna ( also known as fishtail because of its shape). I was getting snaps from the bus window as the image of this famous mountain finally presented itself. Woohoo! First time in my life have I ever seen a huge mountain so grandeur as this, beautifully topped with snow. Simply breathtaking!!! 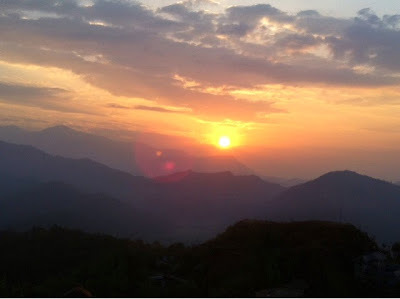 I couldn't wait to start our adventures in Pokhara the moment we arrived at the bus station and were picked up by the hotel shuttle. 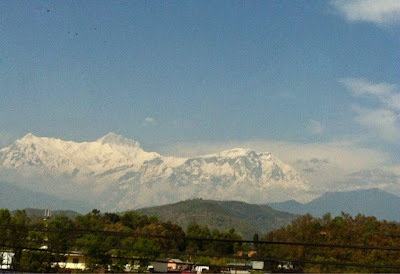 And guess what, our hotel room window had a perfect view of the Annapurna!! We were going to stay in this pretty little city for four exciting days and made sure we took the most of it. 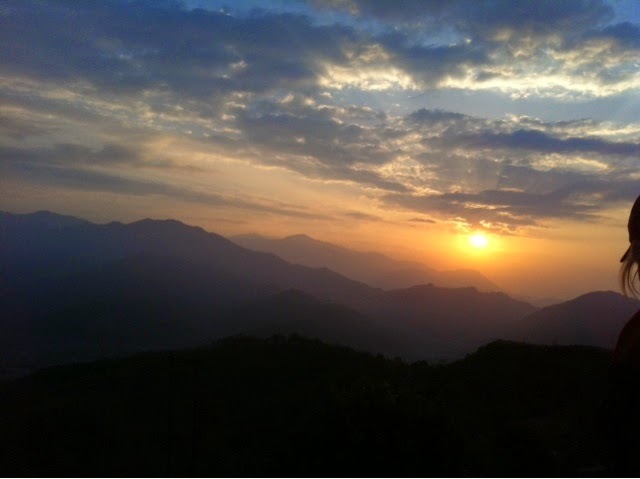 Day 2, we headed to Sarangkot which is known for beautiful sunrises. We booked a car service to bring us there at 5am. In a few minutes the view deck was filled with other tourists. At first we thought it was going to rain coz it got cloudy then waited for almost 30 minutes when slowly the sun came up which left us all in awe. Wow, it was worth the wait! woohoo, that's about 2000 feet high! Next off, we booked for the paragliding activity for the following day. I was a bit hesitant to try this extreme activity. The closest thing I did was Parasailing in Boracay. 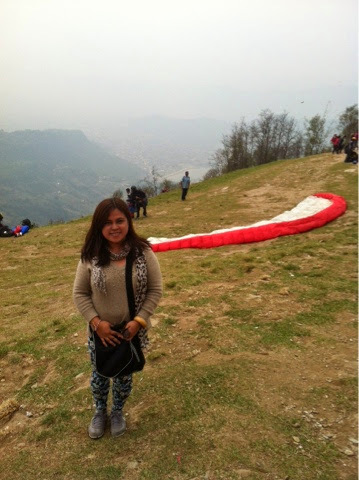 Paragliding was different because i was going to glide above the mountains which was 2000 feet above sea level, with the assistance of a pilot. The pilot asked me if I wanted us to glide in an acrobatic style, but I said no because it was getting breezy up there and I don't want to get nauseated so I signalled that we land. That was around 20 mins up in the air. It was so liberating and a great feeling like I was on top of the world! I was in cloud 9 for real! 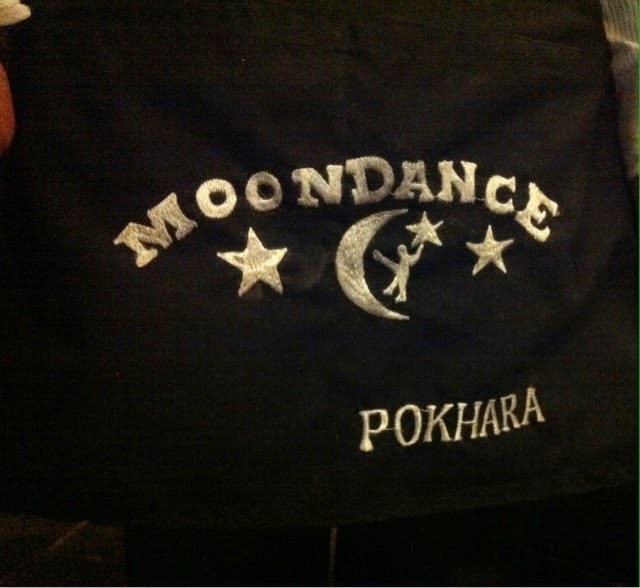 I made it, yeah! In the afternoon we scoured Lakeside Street for some souvenir shopping and getting our share of Nepalese food at a famous local restaurant called Moondance. In a nutshell, I can say that among the places I visited in Nepal, Pokhara is the most charming. There were lots of things to do here, people are warm and friendly. Weather was perfect, had less traffic and dust compared to Kathmandu. Not too laidback, not too fast-paced either. No wonder, lots of tourists come here for trekking and sight-seeing. Height is not my thing so I don't think I would enjoy paragliding lol. Great photos! Wow!!! Nepal-- one of my dream destinations! Thanks for sharing your adventure! We have family friends who are based in Nepal right now as missionaries and it is exciting to hear updates from them every time. 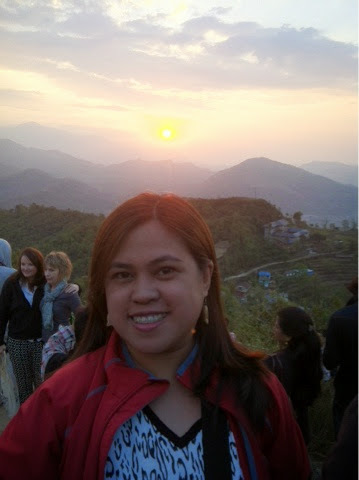 Your photos are a glimpse of the beauty of the country. Nice! 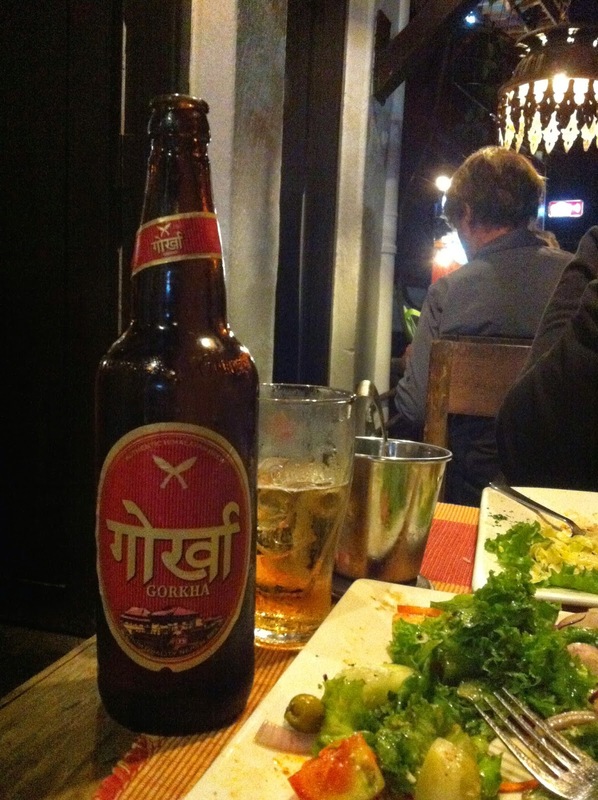 I love your journey and Nepal seems so exotic! That sunrise photo is just amazing. Nothing truly beats watching the sun rise across a gorgeous horizon. Looking forward to learning more about your trips in the future! 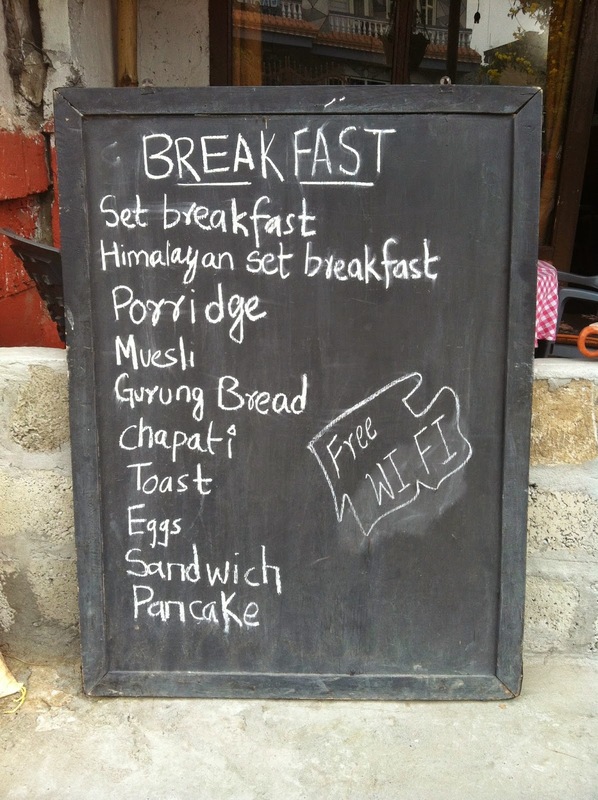 Nepal, a least known tourist destination but have lots to oofer. Nasa wish list ko rin yan. Nag-enjoy ka talaga. 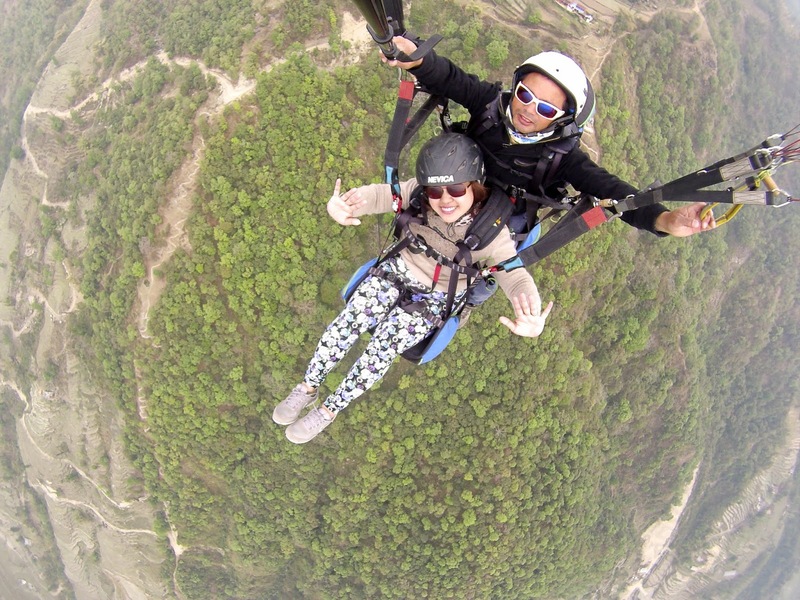 Wow, paragliding, that must have been quite an experience. I can only dream of such. You're adventurous. I'm glad you enjoyed. Oh how I miss sunrises. I haven't seen one in ages :-) Hope to see Nepal someday. Such a lovely place! I hope we get to travel to Nepal, too, someday, to see its beauty and experience its culture. You seem to have enjoyed your vacation in Nepal. You are so adventurous and courageous. I've never done parasailing nor paragliding in my whole life and I don't I can. I'm scared of heights. OMG! What an experience po! 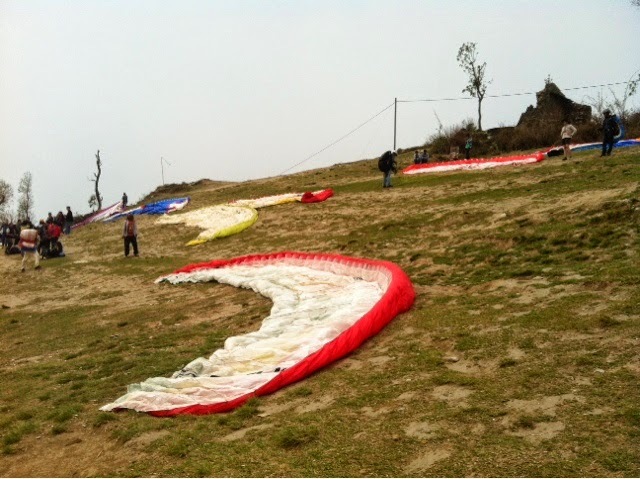 :) I want to try paragliding soon. I need to save enough courage. Hehehe!